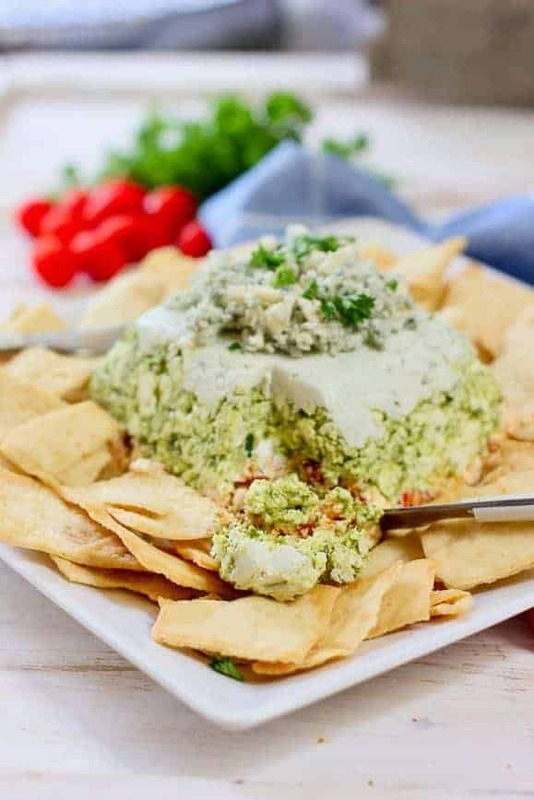 This Blue Cheese Layer Dip with Pesto and Sun-Dried Tomatoes is a family recipe that we’ve been making for years! At only 10 minutes of prep time, this will become a staple at all of your events. Some cream cheese, a few ingredients, and boom! 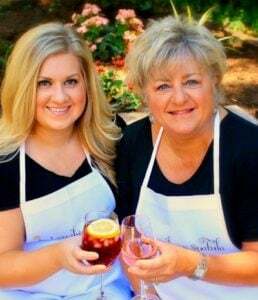 You’re a gourmet chef! 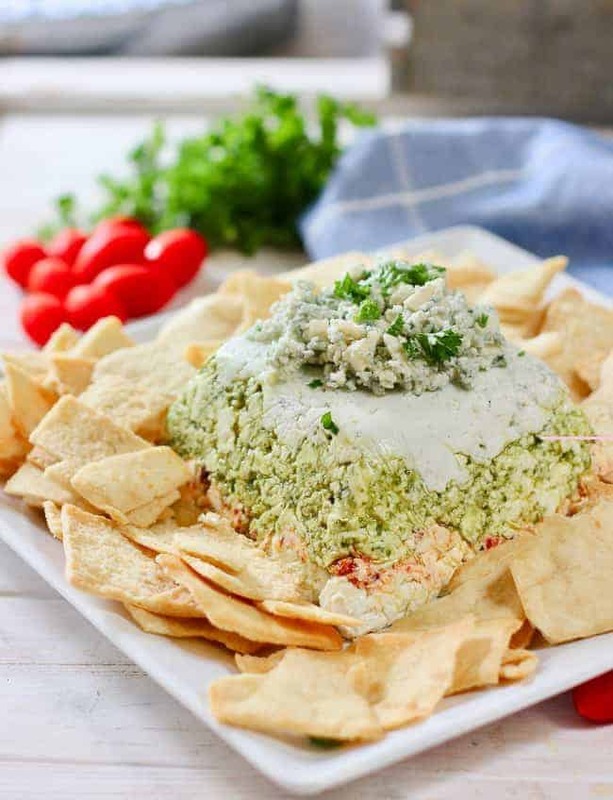 3 Layer Dip: A delightful combination of cream cheese mixed with pesto, sun-dried tomatoes, and blue cheese. Yum! 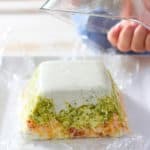 To make your mold, line a small to medium dish with plastic cling wrap (I.E. Saran Wrap) along with a few drop of water between the bowl and cling wrap- this will help it release after its been refrigerated (genius….I know!). We used a fun shaped dish to get a nice shape, but you can use anything and it will look just as cute. 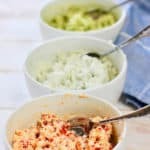 Mix Your Dips! 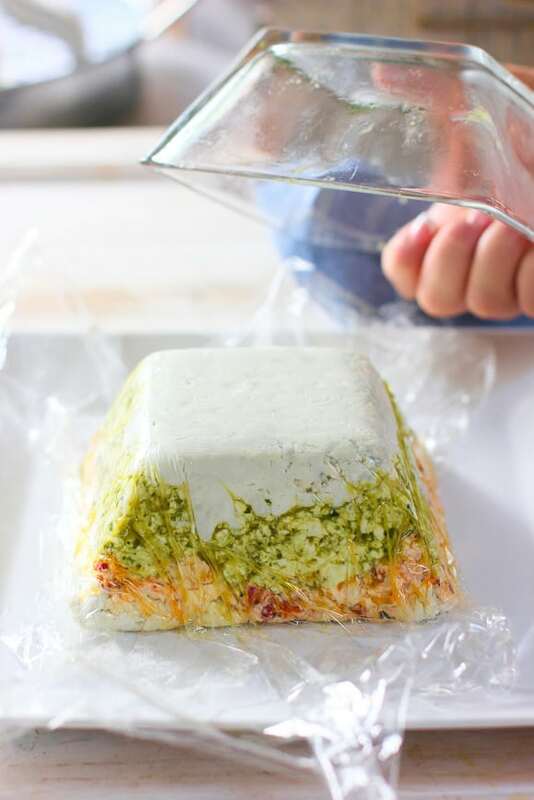 Combine Cream Cheese with Sun-dried Tomatoes, Pesto, and Blue Cheese. 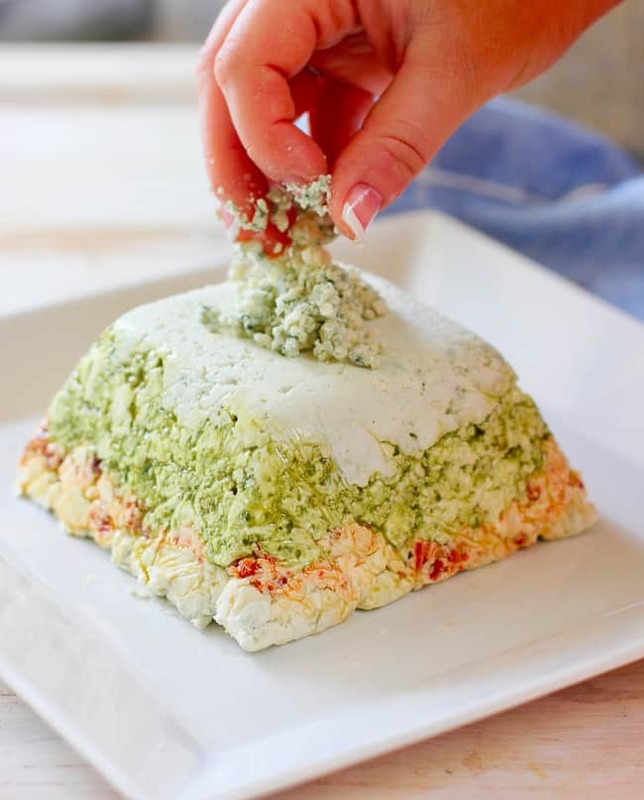 Mix your cream cheese + each ingredient layer (sun-dried tomatoes, pesto and blue cheese). Layer it in a dish, refrigerate for 30 minutes, and serve! It’s THAT easy! 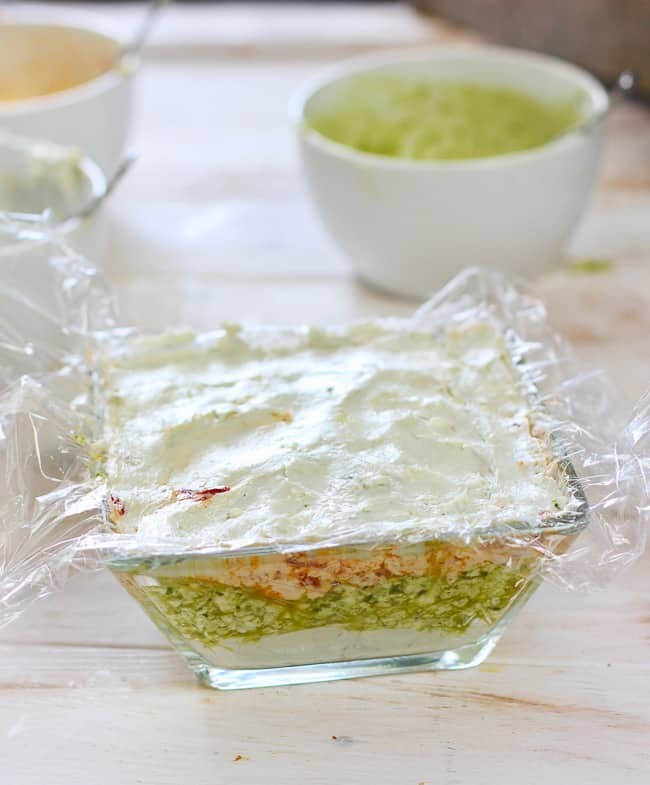 Wrap it up- refrigerate for 30 minutes, and serve! See how easy that came out of the mold? So simple! Pull off the plastic wrap and top with your choice of blue cheese, chopped walnuts, or both! We even sprinkled some parsley on top for some extra color. 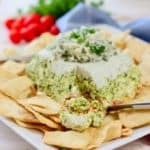 I love the layer components of this appetizer- they come together beautifully and this is such a unique layer dip that you won’t find many places. Top with blue cheese, walnuts, parsley, or…all of the above! This is SO yummy- I actually have a hard time having it around me because I like to snack on it…lots. 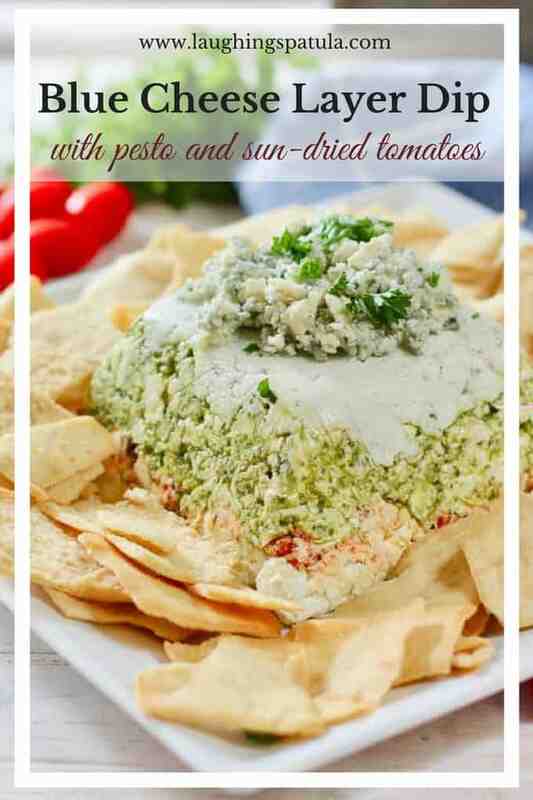 Serve with Pita Chips, Toasted Bread, or even Veggies- Serve and enjoy! An easy appetizer with LOADS of flavor that only takes a few minutes to make- refrigerate for 30 minutes, and serve. Your guests will LOVE this and think you're a gourmet chef! Pita Chips, Toasted Bread, or Roasted Vegetables Optional- Serve with what you like best. In a small to medium sized dish, add a few drops of water. 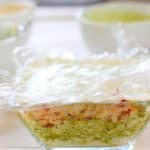 Stick Saran Wrap in the inside of the bowel (the water will help it stick to the bowl fully so your dip is molded perfectly!). Set aside for later. In bowl 1- add 1/2 cup of blue cheese (reserving the additional for the topping). In bowl 2- add pesto. In bowl 3- add sun-dried tomatoes. 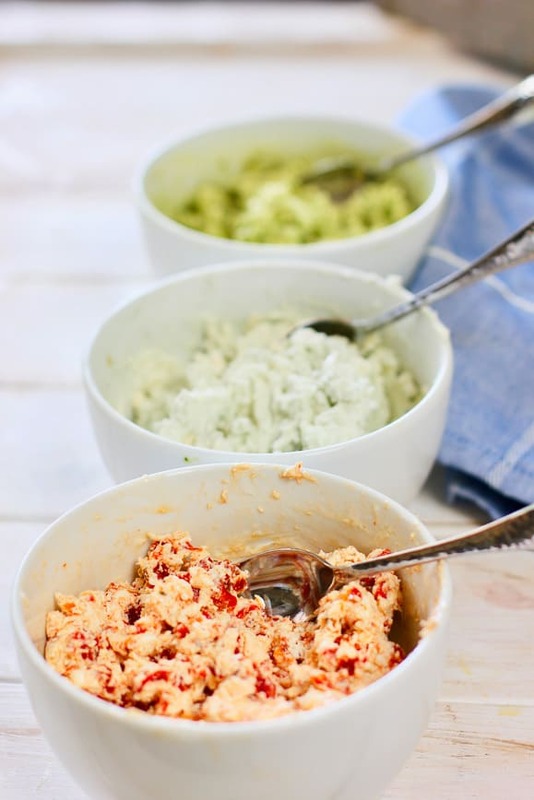 Mix well, until the cream cheese is fully mixed with each layer (see picture above of 3 bowls). Refrigerate for 30 minutes, and turn upside down on a platter to serve. 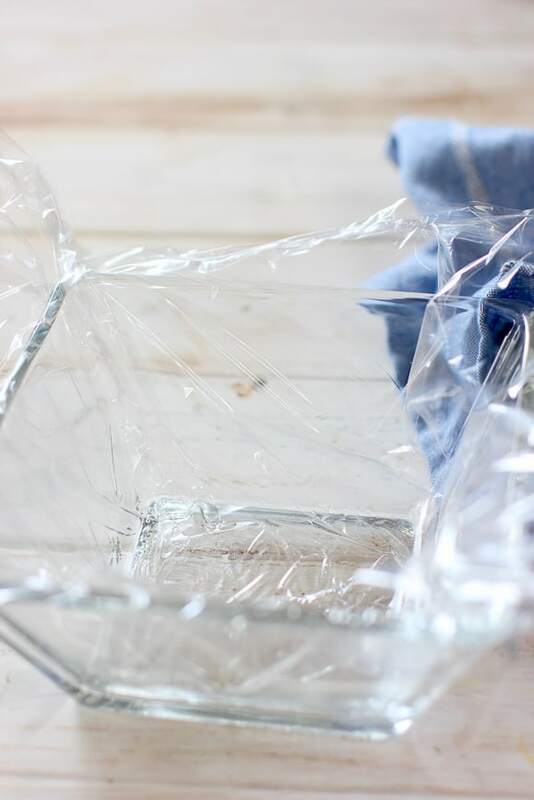 Remove Saran Wrap, and enjoy! A few drops of water…who knew? I love the simplicity and elegance of this yummy looking appetizer! Perfect for the 4th! Pinned!